Youmans excelled on the platform, where her long, turgid, but emotionally inspired speeches based on biblical themes were enthusiastically received. 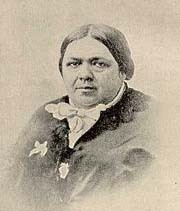 A few years before she died in 1896, from bouts with inflammatory rheumatism, Youmans was named the honorary 1st president of Canada's Dominion Women's Christian Temperance Union. She published an autobiography, Campaign Echoes, in 1893.